Cell phone storage for business employees helps organizations manage both their facilities and their employees. Smart phone use has become so widespread that people are constantly distracted by web browsing, emails, games, and of course, texting. Businesses that require employees to store their mobile phones in secure areas can eliminate these distractions and keep employees more focused on what their respective tasks. 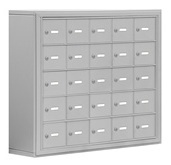 Organizations can also protect themselves from liability using these storage compartments. They are designed to secure far more than phones and are typically used to store many different types of valuables. Placing wallets, car keys, digital cameras, e-readers, jewelry, and personal communication devices in a locker gives people the best assurance that their belongings are safe, out of sight, and out of mind while they are working on company time. 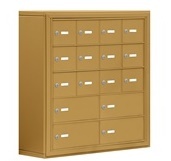 Lockers designed for cell phone storage for business employees can be shelf mounted or wall mounted. Locks are either keyed or resettable combination, depending on the preference of the organization. Managers have access to storage units with a master key that comes with each set of lockers. Different organizations benefit from these specialized lockers in different ways. Many retail stores have standard issue uniforms that have insufficient pocket space for employees to carry personal belongings on them. In addition to needing a place to store mobile devices, these stores need secure areas where workers can keep jewelry, video cameras, wallets, and car keys. Government buildings have come to rely heavily on cell phone storage for business employees. Many levels of government have varying degrees of security that strictly limit the amount of communication from their building during work hours. Prior to the advent of mobile phones, it was easy to simply monitor personal calls made from desk phones. Anyone who violated security could be warned, reprimanded, or disciplined if discovered. However, smart phones make it possible for people to not only talk or text, but also to send pictures of sensitive information. For this reason, many government offices are now requiring employees to store their mobile phones prior to starting their shift. Phones can be used on breaks in designated areas far removed from the presence of sensitive information. Many companies also are finding that cell phone storage for business employees is an excellent way of protecting trade secrets. This is particularly effective for research and development divisions where new forms of technology, new chemical compounds, and new software are being developed for patent or trademark. In many cases the security at these locations may be every bit as strict as that in a government facility due to the prevalence of video recording capability and picture taking capability that is now common to today’s average smart phone. Finally,cell phone storage for business employees has worked its way beyond the professional and governmental realms into the world of academia. Public schools and colleges both have encountered many different types of problems associated with sophisticated mobile device technology. These problems include, but are not limited to, cheating, distracting personal talk, texting during class, and unauthorized recordings of fights taken at school and then posted online. Rather than fighting with students constantly about when and when not to use their phones, it is better to simply have them store them in a locker in class where they can be retrieved and used only for an emergency. This article was published on Tuesday 03 April, 2012.